From the previously unthinkable Third Track and Second Track projects to state-of-the-art technology and signal upgrades, the LIRR Modernization Program is daring to imagine better and delivering for the people of New York once again. 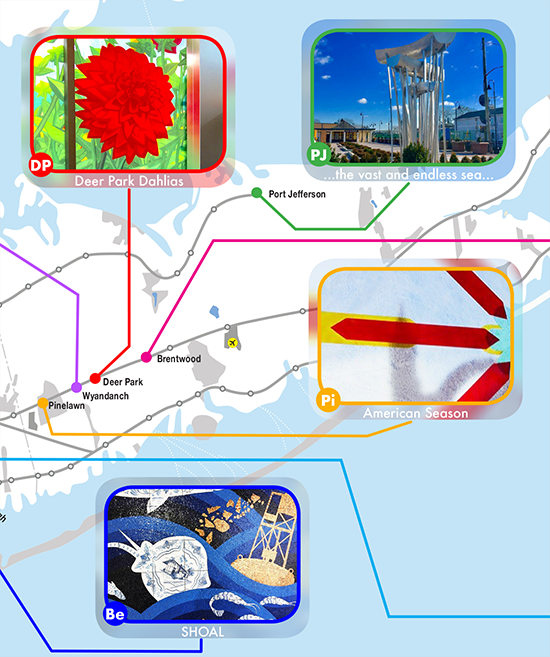 LIRR Modernization ProgramArt Guide to New LIRR Art Installations Available! Get the guide and sign up for weekly AModernLI highlights. Includes new works of art installed at LIRR stations in 2018, created in collaboration with MTA Arts & Design. New substation ensures continued reliability and increases capacity for future growth of Port Washington Branch train service. The Ronkonkoma Branch’s Double Track Project adds a continuous second track to the 18-mile stretch between Farmingdale and Ronkonkoma along with a new signal system, electrical substation modifications and new third rail electrical systems. It is the first large-scale component of Governor Cuomo’s LIRR Modernization program to be completed and part of the largest building project in the USA. A multibillion dollar transformation of the Long Island Rail Road is underway, the biggest slate of investments the railroad has received in decades. Once all the work is completed, the LIRR will have increased its capacity by 50 percent. The robust undertaking was made possible by a partnership between MTA, state and local officials, and numerous Long Island communities. Together, the upgrades will help modernize transportation across the region and provide a reliable, state-of-the-art rail system for Long Islanders. A series of much-needed LIRR capital projects and state-of-good-repair projects. View the latest project news and updates. Join our mailing list to stay up-to-date with the latest project news. We want to hear from you. Send us your ideas, questions, and comments. ”With the complete transformation of the Long Island Rail Road, New York is recapturing the bold ambition that made our infrastructure the envy of the nation and building for the future. The LIRR is the backbone of the region’s economy, and the strength and resiliency of Long Island requires bold, transformative investments to bolster our transportation network. Join the AModernLI mailing list to learn about upcoming meetings, activities and progress of the LIRR Modernization Program.